By default, visitors, Project Clients, and Project Collaborators won't have access to any projects on your site. There are several ways to give a client access to your project. 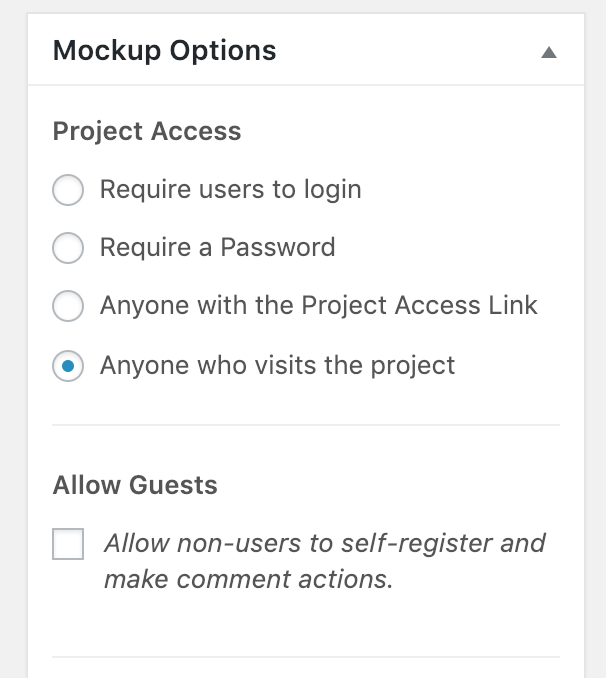 You can find the individual project access settings for each mockup or website by visiting the Edit Mockup or Edit Website page. There are several access options for each project, as seen in the screenshots below and each are explained further down the page. 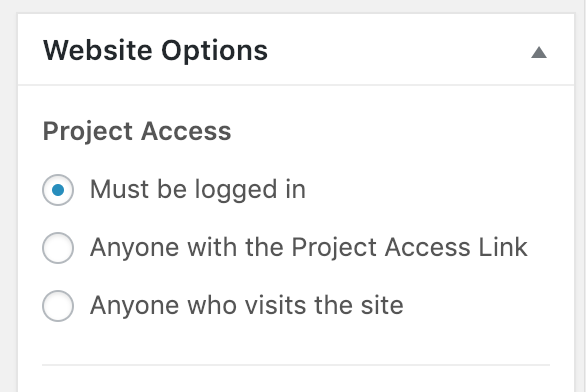 Also, be sure to check out the Permissions Cheatsheet article to make sure you've assigned a role with the access level needed to collaborate on the project. A visitor must be logged into the site where ProjectHuddle is installed in order to see and comment on the project. If a visitor visits through the access link, they will be prompted to login to view the project. If you choose this option, you may want to create accounts for your clients ahead of time under Users > Add New. 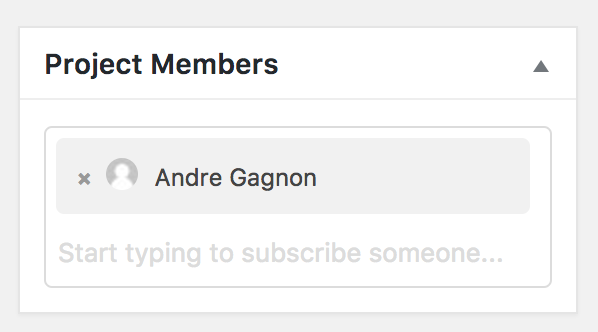 Then give them access by adding them to the Project Members meta box on the right side of the project page. A visitor must be follow a project access link in see and comment on the project. They do not need an account and do not need to be logged in. If a visitor visits through the access link, they can see and leave comments on the project. When they leave their first comment, they will be prompted for a name, email and password. This self-registers the user with a Project Client role and logs them into the background. You can find the project access link under the project title on the Edit Mockup or Edit Website page. A visitor must enter a password in order to see or view the project. They do not need an account and do not need to be logged in. If a visitor enters the password correctly, they can see and leave comments on the project. When they leave their first comment, they will be prompted for a name, email and password. This self-registers the user with a Project Client role and logs them into the background. Anyone who visits the mockup project or website can see the project and make project actions. They do not need an account and do not need to be logged in. When they leave their first comment, they will be prompted for a name, email and password. This self-registers the user with a Project Client role and logs them into the background.